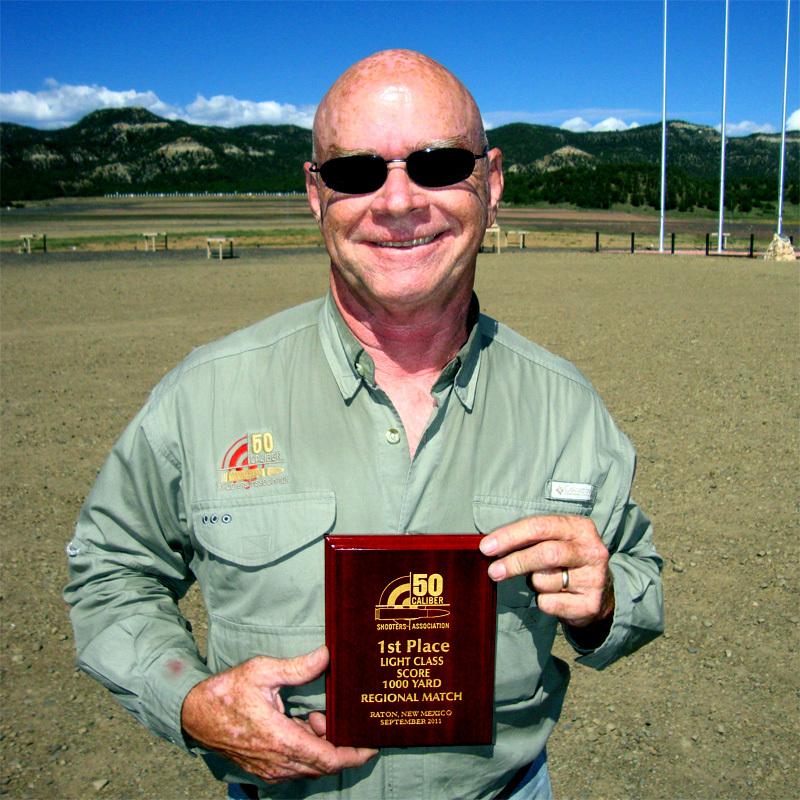 Dale Arenson: New World Record Holder / Light Gun .50 Caliber BMG and 2012 FCSA Winner! Also, in the 2011 FCSA Fall Regional 1000/600 yard match in Raton, NM (Sept. 23-25), Dale Arenson set a new Light Gun Score World Record of 298 with 18 X’s (300 is a perfect score). 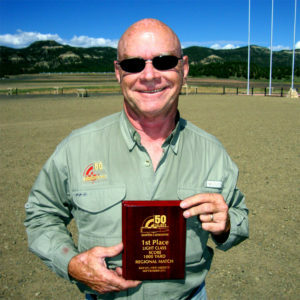 Dale shot a 298-18X topping the previous record set 0f 297-12X set in 2007 by the Legendary Lee Rasmussen. 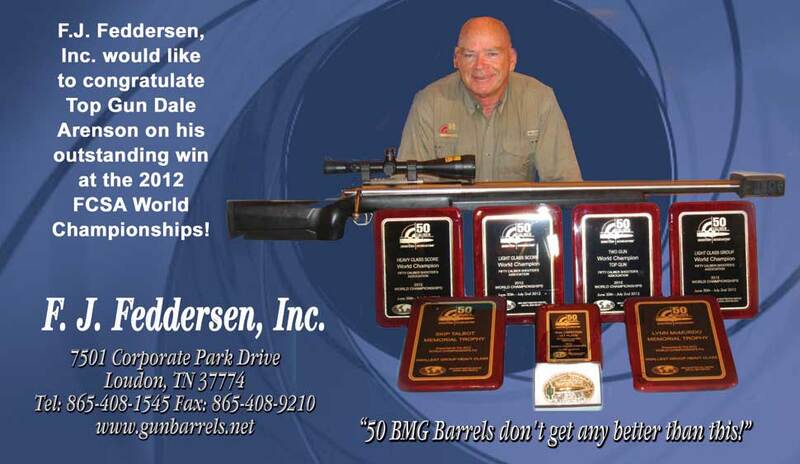 The Rifle barrel used was manufactured by Fred Feddersen. 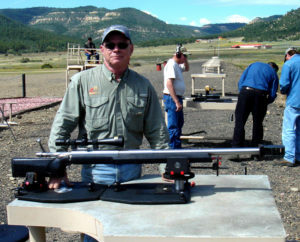 A 6‑groove 32-inch barrel with Gunsmithing by Dan Pedersen. You can add a 10/22 Rifle Barrel or other rifle product to your cart.